Saturday, March 16, 2019. 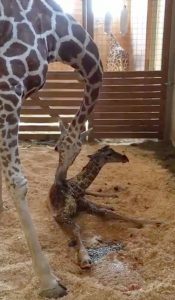 April went into labor at about 11:00am and birthed a new baby giraffe at about 12 noon. Here are two past Giraffe baby activities for today! 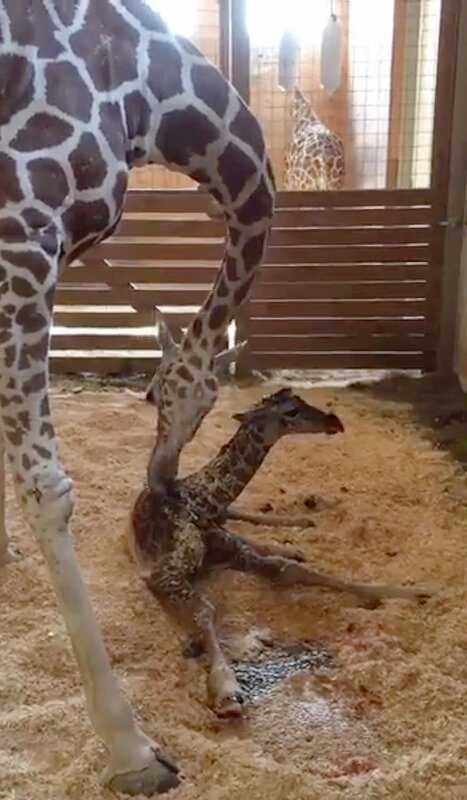 At about 10:00 am, April 15th, April's calf was born. Everyone will be talking about it and smiling constantly.